This week is Day in the Life! Welcome to the 6th Annual “Not” Back-to-School Blog Hop. Do you rise at dawn, say the pledge of allegiance, sit at desks, have recess? Do you school year round or do nature hikes? Or do you start well-caffeinated and hide in the bathroom for your own recess? 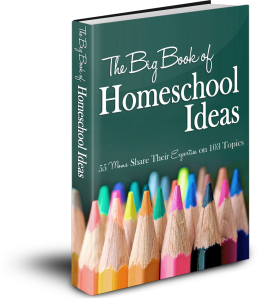 Tell us about a typical (or not so typical) day in the life of your homeschool.